The recent shooting down of a Syrian Su-22 fighter jet is only the latest in a long list of incidents during which the Americans have opened fire on Syria’s army. From direct military strikes targeting the al-Shayrat air base, to bombing pro-government armed formations that supposedly enter dubiously-demarcated no-go zones, the US is only reinforcing the narrative that its objectives have nothing to do with fighting Daesh [Arabic acronym for “ISIS” / “ISIL”]. Instead, these incidents are the consequence of the race for control of eastern Syria. It is precisely in this context that the Americans have allowed themselves to declare their so-called “de-confliction zone” near the strategically-important Syrian border town of al-Tanf. The blueprints, drawn up in Washington, envisaged al-Tanf as the launching point for a northward push by US-backed militants towards the Euphrates, and the eventual capture of Syria’s entire southeast. But the Syrian army, backed by Iranian and Russian forces, have diluted these plans by liberating Daesh-controlled territory, and reaching the Iraqi border – effectively encircling Washington’s ‘zone’. Faced with the option of sitting with their hands crossed in a stretch of desert rendered strategically useless by the Syrian maneuver, the Americans cooked up quite a creative alternative. Since the US could find absolutely no justification for directly attacking the corridor established by the Syrian forces, Daesh terrorists were put to use once again and ‘encouraged’ to move south. Recent reports from the ground have shown that the US-backed Syrian Democratic Forces [SDF] are allowing Daesh fighters to flee the ‘encircled’ city of Raqqa towards Deir ez-Zor in the east. The idea is to put pressure on the aforementioned corridor, which sits just south of Deir ez-Zor. However, things have not exactly gone to plan thanks to the efforts of the Syrian army and its allies. This brings us back to the Syrian Su-22, which was shot down this week by a US F/A-18E Super Hornet while taking part in operations to fend off the advancing militants. Since the inception of the so-called US-led coalition against Daesh, the military alliance’s efforts to partition Syria have been hard to miss. While acknowledging that the overthrow of Bashar al Assad is improbable – if not impossible – Washington threw its weight behind the Kurds and other militant formations, aiming to sever Damascus’ link with Europe in the north, and its allies – Iraq, Iran – in the east. A statement released by US Central Command attempted to justify the downing of the SU-22 as “collective self-defense of Coalition-partnered forces”, a reference to the SDF, which the Americans claim was being targeted by the Syrian jet. “The Coalition does not seek to fight Syrian regime, Russian, or pro-regime forces partnered with them, but will not hesitate to defend Coalition or partner forces from any threat, “the statement adds. Aside from the fact that this logic fails to explain why no such defenses are being mounted against the Turks, who bomb the SDF at least once a week, the statement also has the potential to backfire on Washington. While the UN Charter recognizes the right to self-defense, it only applies to the defense of other states, rather than non-state actors like the SDF. However, the real trap for Washington lies in its continuous assertions that the SDF and other militant formations are an extension of the US. As such, all actions attributed to these groups, including potential war crimes, are automatically credited to Washington. One of the more obvious problems with that claim is the American presence in al-Tanf and the deployment of its High Mobility Artillery Rocket System [HIMARS] to the area, which is not capable of targeting Daesh positions from that distance. American motives in the region have long since led to tensions with the Russians, which have the potential to morph into a direct military confrontation. Following the downing of the Syrian jet, the Kremlin blasted the U.S. for its blatant violation of international law and issued a stern warning. “In areas where Russian aircraft are carrying out military tasks in the skies above Syria, any flying objects, including international coalition aircraft and drones found operating west of the River Euphrates, will be tracked by Russian land and air-based anti-aircraft ground systems as targets,” Russia’s defense ministry said in a statement. This is the most serious threat the Russians have aimed at Washington since the start of the Syrian conflict. Even when Turkey had shot down a Russian warplane over Syria in November 2015, Moscow stopped short of threatening to treat Turkish aircraft as fair game. Of course, it’s unlikely that the Russians would allow themselves to shoot down American warplanes over Syria without a very good reason. If nothing else, the Russians have proven to be pragmatic players on the world stage, and shooting down American planes hardly qualifies as pragmatism. The question, though, is: when does such an option become a pragmatic one? Perhaps more concerning is Moscow’s decision to halt the use of an incident-prevention hotline with Washington, established to prevent accidental clashes between the different forces operating across Syrian airspace. The fact that the Russians are at a point where they would rather risk an accidental confrontation than cooperate with the Americans further testifies to the lack of trust between the supposed partners in the fight against a ‘common enemy’. The latest example of how the US uses Daesh as an excuse, rather than a reason for its military interventions, is the fighting taking place in the Philippines. 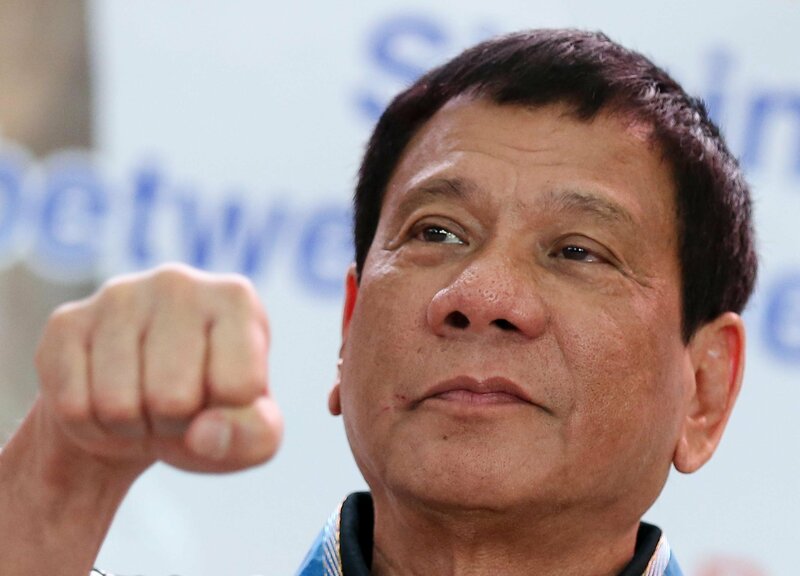 Just over a month before the outbreak of violence, Philippine president Rodrigo Duterte said that his “foreign policy has shifted from pro-western”. “I now have this working alliance with China and I hope to establish a good working relations with Russia. Why? Because the western world, EU and everything, they have these double talks,” he added with trademark bombast. Anyone who has followed international affairs over the last few decades is aware that statements such as the one above never turn out too well. Duterte must have known it too. Even if he has forgotten about leaders like Slobodan Milosevic, he surely remembers Saddam Hussein and Muammar Gaddafi – not to mention Bashar al Assad. And just like Assad, Duterte is now in Washington’s crosshairs. The anti-Duterte operation was activated on May 23, when none other than Daesh footsoliders invaded Marawi City on the predominantly Muslim island of Mindanao. The Philippine president responded by declaring martial law on the island, and launching an uncompromising military operation. Interestingly, the island also houses a US military base with more than a hundred marines, a significant number of special operations units, as well as P-3 Orion surveillance aircraft. So, the question is obvious. How on earth had a group of terrorists managed to sneak into Marawi, stocking weapons in mosques and basements, and then building tunnels fit to withstand a fierce siege by a better-armed adversary, without alerting American spy planes and special forces? 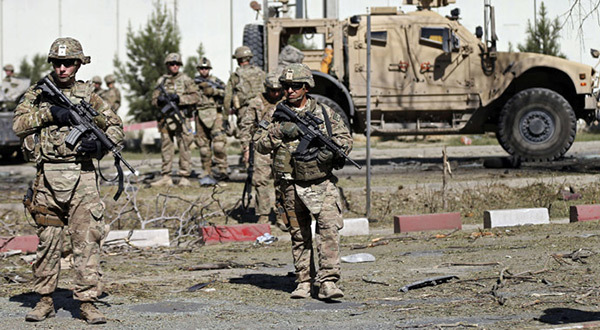 Just like in Syria, the appearance of Daesh is quickly followed by the appearance of American soldiers, who are supposedly there to protect the locals from the scourge of terrorism. And just like Assad, Duterte had never asked for help. “I never approached any American to say… ‘Help us’,” the Philippine leader said shortly after the American embassy in Manila announced that US Special Forces were “assisting” operations in Marawi. The true geopolitical value of Daesh for Washington’s military elites cannot be understated. From the Middle East to the Far East, this terrorist machine is yet to fail in aiding long-term US objectives. Whether paving the way for a permanent American military presence in Syria, or creating a source of instability for the Philippine government, the battle being fought in the shadows of the war against Daesh is far from over.